The world famous L.A. beat scene incubator has been doing their thing for a decade. Since 2006, Low End Theory has been holding down Wednesday nights at Los Angeles' The Airliner with the best the world has to offer in strange, experimental sounds. Tomorrow, the world famous club night turns 10, with sets from hosts Gaslamp Killer, Daddy Kev, and DJ Nobody. 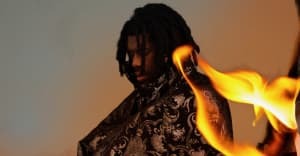 In the 10 years since its inception, the party has acted as the beating heart of L.A.'s beat scene, for which folks like Flying Lotus and Shlohmo serve as high-profile international ambassadors. Over the years, the night has hosted sets from everyone from Erykah Badu to Thom Yorke, including the first ever performance from Odd Future. The collective also hosts satellite events in Japan, New York, and San Francisco, and hosted their inaugural Low End Theory Festival last year. Low End's 10th Anniversary celebration goes down tomorrow night, Wednesday, October 19. Details here.